Don’t ever corner an electric eel. When threatened, the snakelike fish can rear out of the water to deliver a more powerful shock. Vanderbilt University biologist Kenneth Catania describes the behavior in a paper in the Proceedings of the National Academy of Sciences. This is not the first time someone has reported a literal eel uprising. At the turn of the 19th century, explorer and naturalist Alexander von Humboldt wrote of a South American practice of “fishing with horses,” in which local fishermen herded very unfortunate horses into waters filled with electric eels. Frightened by the horses, the eels reportedly leapt from the water to shock them, thus exhausting all their zapping power and making them easy targets for the fishermen, who then waded in to scoop them up. "The first time I read von Humboldt's tale, I thought it was completely bizarre," Catania said in a press statement. "Why would the eels attack the horses instead of swimming away?" Other modern biologists agreed: Like so many other sights described by early naturalists, von Humboldt’s leaping eels must have been a flight of fancy. Then, the eels proved them wrong. 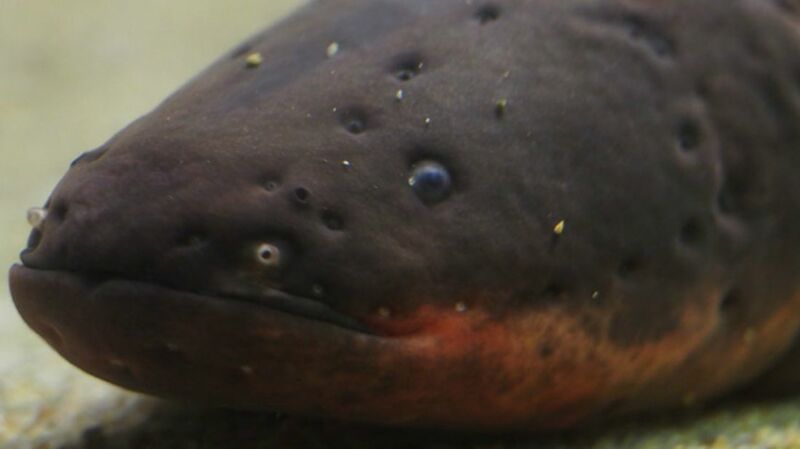 Catania keeps electric eels—which are not technically eels at all—in his laboratory and was studying how they hunt. To get a closer look at an eel, he’d use a metal-rimmed net to remove it from its tank. "In hindsight, it probably wasn't the best design to use with electric eels," he said. But that poor choice led to a surprise: “From the outset, eels regularly transitioned from a retreat to an explosive attack when the net approached," Catania writes in his paper. "They swam rapidly toward the net, followed the metal rim to the point of exit from the water, and leaped upward along the rim and handle, keeping their chin in contact while discharging high-voltage volleys. This behavior was both literally and figuratively shocking.” Fortunately, he was wearing non-conductive rubber gloves. Still, Catania didn’t understand why the eels would leave the water instead of swimming away. He set up a series of experiments using two “attackers”: a plastic alligator head and a fake human arm covered in electrical sensors to simulate human nerve endings. You can see the results for yourself here. The eels, it turned out, were using the laws of nature to amplify their zapping power. When they rear out of the water and press against their target, the normal path of electrical current, which is usually distributed to the surrounding water, is replaced with a new path that goes right through the target of attack. "This allows the eels to deliver shocks with a maximum amount of power to partially submerged land animals that invade their territory," Catania said. "It also allows them to electrify a much larger portion of the invader's body." But when faced with a potential predator, why do eels do shock instead of retreat? Catalina suggests that backing off often isn't an option, especially in the annual dry season, when the eels can get trapped in small pools. As he says in the video: "Essentially, what you've got there is an electric fence in the form of a fish."